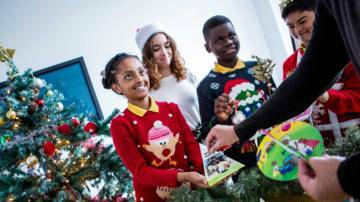 Our free Advent assembly and fundraising resources are packed with fun festive activities to help you raise money for World Gifts. Ready-made Advent assembly or collective worship, based on the nativity story. Nativity scene poster to print and use to create a beautiful classroom display. Ideas and resources to help you fundraise for World Gifts this Christmas. Fundraising sheets, a short drama and prayers to help you fundraise for World Gifts! Download our Advent calendar for children with daily reflections and actions.